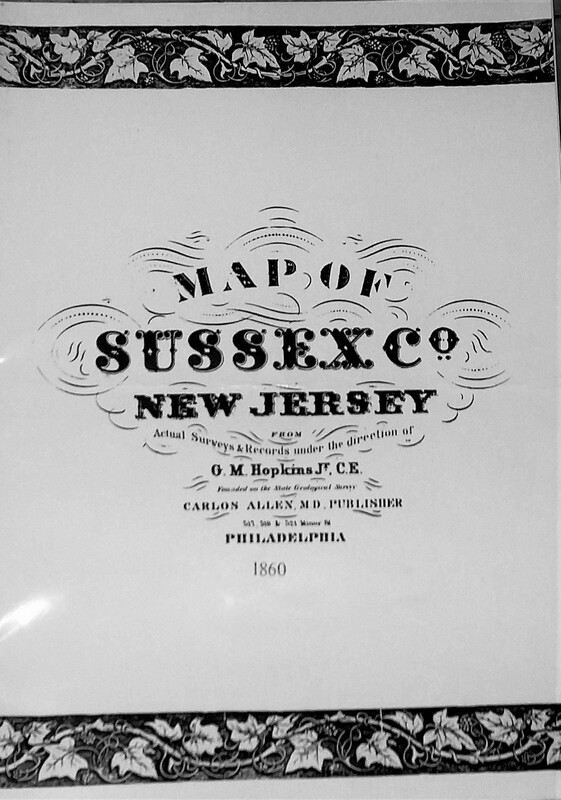 This is the definitive 1860 property owner map for Sussex County New Jersey. 1951 Part to Branchville Borough. Very few counties were fortunate enough to have had cadastral maps in the eighteenth century. But two New Jersey counties, Somerset and Middlesex, had maps drawn as early as 1766 by Lt. John Hills, a British Army officer. Hills used surveys made by Benjamin Morgan and Az. Dunham. Both Virginia and Pennsylvania passed legislation early in the nineteenth century to have State sponsored country maps compiled. A few were completed by 1825. Torrey’s map of Pike County, Pennsylvania was finished by 1816. He used a method of inscribing the owners’ boundaries and assigning numbers on the face of the map rather than writing in the owner’s names, similar to the present-day tax maps in New Jersey. Other than these scattered efforts at mapping, very few others were printed prior to 1850. However, by the mid nineteenth century, a market had developed in the northeast for commercially produced maps. The Library of Contress listed only 28 maps in the 1840’s, but 327 county maps by the 1850’s. They were an awkward five feet by six feet, printed on paper and mounted on canvas as wall hangings, frequently varnished. An ordinary run would be about 1000 copies. This Hopkins map of Sussex County, New Jersey, shows grist and saw mills, school houses, wheelright, blacksmith and paint shops, lime kilns, roads, streams as well as residences and their owners. We are fortunate that Hopkins chose to favor us with his careful work. We hope you will enjoy our wonderful reprint! This entry was posted on March 3, 2016. Bookmark the permalink.